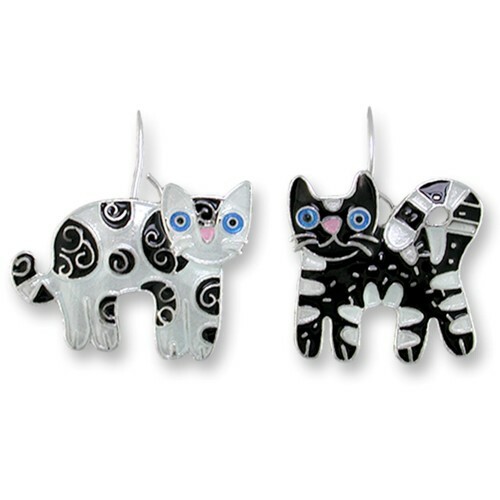 Silver-plated pendant earrings depicting two differently decorated cats. One is enamelled in pearly white and has black spots decorated with silver curls. The other is enamelled in black and white, as if it were streaked, with dots on the black part. Both have blue eyes and a small pink nose.